Hyun, Doug. Rizzoli & Isles – Season 2 – “Rebel Without a Pause” – Lee Thompson Young, Bruce McGill and Jordan Bridges. Web. 14 Sept. 2016. http://www.tvguide.com/tvshows/rizzoli-isles/photos/304667/879191. Hyun, Doug. Rizzoli & Isles – Season 2 – “Sailor Man” – Angie Harmon, Sasha Alexander and Lorraine Bracco. Web. 14 Sept. 2016. http://www.tvguide.com/tvshows/rizzoli-isles/photos/304667/838943. Hello hello hello!! I hope you have all had a lovely Sunday. I know I did. I went to church, filmed two Youtube videos, cheered on the Anaheim Ducks (They won!! ), did a little tanning, and swam laps. Very productive! Speaking of Youtube, I did the “Take a Bite Out of Lyme Disease Challenge.” I would really appreciate if you would take the time to either watch the video or visit the website to find out what the challenge is all about. 2. SHARE A FACT: State ONE BRIEF FACT ABOUT LYME DISEASE, such as the facts provided below. You can say them in your video, write them on your photo, or include them in your post. 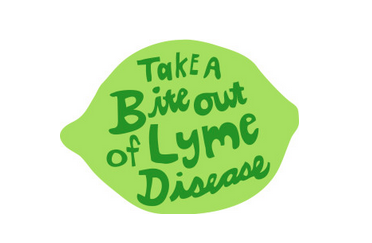 Help us spread the true facts about Lyme Disease! Stay aware and stay strong readers!! 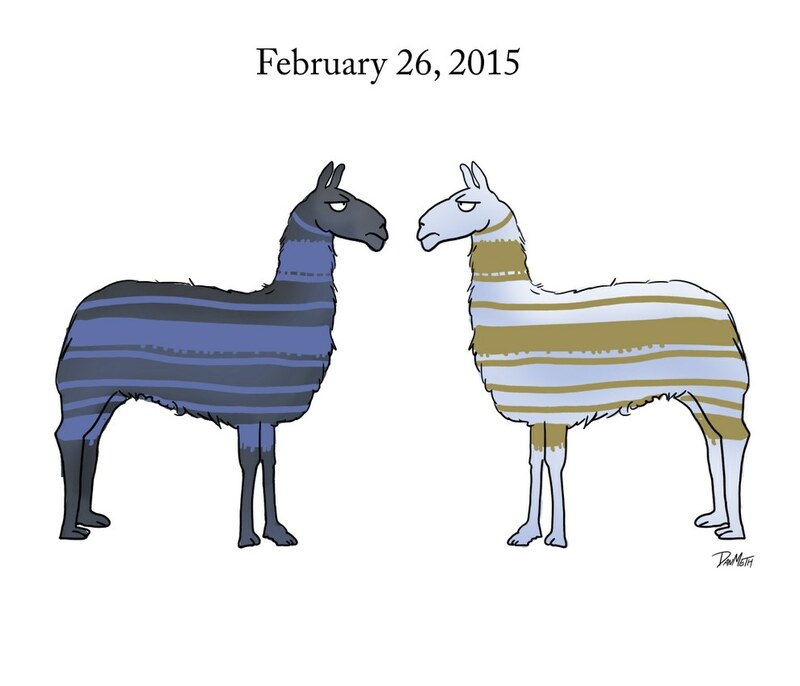 February 26th, 2015, a day made famous by llamas on the loose and a dress of many colors. Congratulations America! You have finally cracked. In all seriousness though, the social media frenzy was amusing. If you have no idea what I am talking about, allow me to explain starting with the llamas. Three llamas were scheduled to make a therapy visit to an assisted living facility in Sun City, Florida. They did indeed arrive and provided company for over an hour. The handlers took the trio outside for a bathroom break, and that is when the hijinks commenced. One llama got spooked and successfully attempted to break loose, followed by a partner in crime. The pair ran around the city for an hour before being corralled. What color duo did you immediately see?? If you saw white and gold, you are part of the majority. If you saw blue and black, you are part of the minority. Sorry majority! 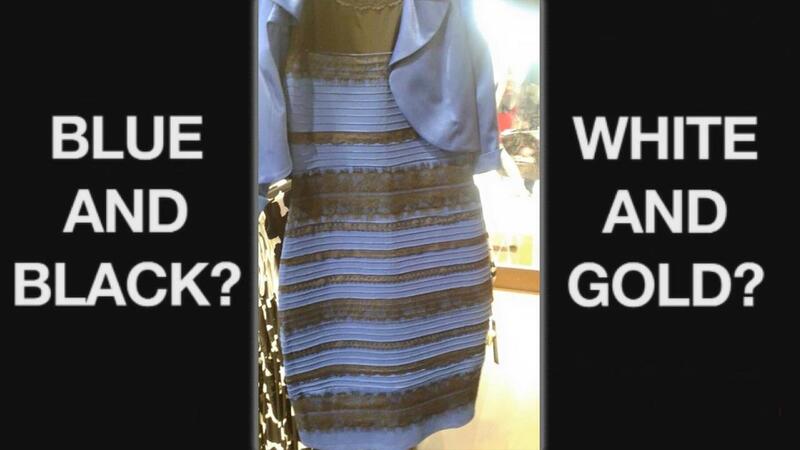 It has been confirmed that the dress is blue and black. I saw blue and black the first time I saw the dress, and I still see blue and black. The only time I saw white and gold is when I looked at a white and gold dress first. I hope that rather than boring you this post gave you a good laugh. Have a great day/afternoon/evening readers!